Non-members are welcome at SCHS events, but we request a $10 entry fee. CITG events are free for members, non-members are requested to pay the $10 entry fee. Click "Add Guest" to register your guest & generate an invoice. CITG events are free for SCHS members. Click '"Add Guest" if you are registering for more than 1 SCHS Member. We encourage students of all ages to attend our events free of charge. Please show current ID at the entrance. If you prefer to pay at the door, choose the "Invoice Me" option on the Review and Confirm page. On Sunday, October 14, 2018 from 10:00 a.m. to 2:00 p.m., you are invited to join us for a Coffee in the Garden event at the Altadena home of landscape designer Wynne Wilson. Wynne grew up in Southern California, surrounded by citrus and avocado groves that were planted where extensive stands of coastal sage scrub once flourished. She grew up sharing her family’s concern for wildlife and its vulnerable habitat. Fighting successfully for preservation of this valuable resource has been a major part of her life’s journey and family’s legacy. Through her work with her landscape firm Terra Design, Wynne is able to continue her mission – sharing knowledge, design and hopefully inspiring others. 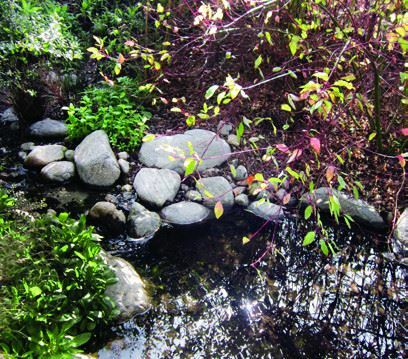 She and her creative team actively pursue projects using palettes consisting of primarily California’s native plants and sustainable materials. 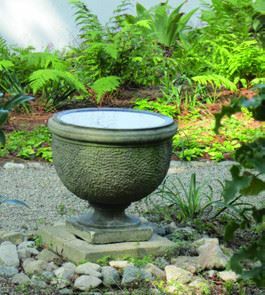 The firm’s philosophy of restoration, preservation and education are evident and beautifully displayed in her own garden, which has been featured on many garden tours over the years. Wynne will speak at 11:00 a.m. about the evolution of her garden, and then lead us on a tour of the garden answering questions as we go along. The SCHS will be providing coffee, cold drinks and light refreshments during the event. This event is free for SCHS members, with a $10.00 entry fee for non-members and guests. We also offer free entry to students of all ages with current school ID. Please note: no restrooms are available on-site. Also, carpooling is encouraged due to limited street parking. Copyright 2012 Southern California Horticultural Society.